I'm back in black! After a few months of needed time to adjust to wife-mom-entrepreneur life I am back & ready to roll. Plus I am back into normal clothes again (I can't even begin to explain how excited I am about that!). 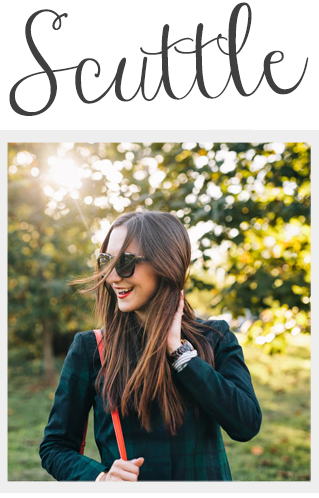 So lets dive right into fall fashion shall we? 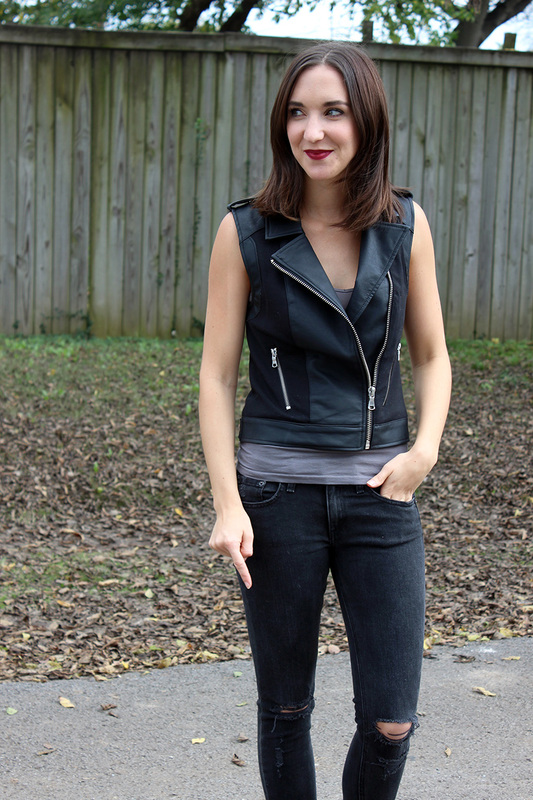 I paired my vest with a simple tank, my go-to black booties & some distressed denim. These jeans are from Rag & Bone & I wore them in a few previous posts (here, here, here) but I have never really talked in depth about them. I like these shredded skinny jeans because the distressing to me is tasteful & not to over done. These jeans do fit a bit different on me though in that the crotch hangs low even though I don't think its suppose to. Either my hips sit low for the jeans or they are a tight on the thighs & I can't pull them all the way up. Not really sure which but I still adore these jeans regardless. 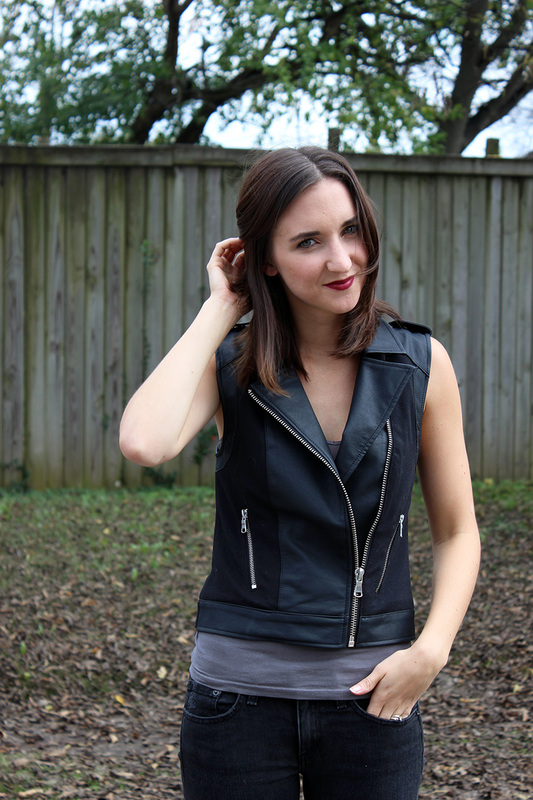 This is the first time I am wearing a motorcycle vest & I am digging it. I think I want to try it with an above-the-knee casual dress next. Any recommendations on what you pair a motorcycle vest with? Oh Veronika you are so sweet! Thank you so much for your kind words, xoxo!